For modern Housewives, a host of handy devices, which considerably facilitate their work. These include, for example, parchment paper - this simple device helps in the manufacture of baking and beyond. Parchment is a special kind of paper which is moisture and grease. Its use prevents food from burning to the bottom of the pan or form for baking. Using parchment paper sometimes prepare cold items – it maintains the integrity preparing meals. Externally resembles parchment wrapping paper brown, grey or white. In the modern manufacture of parchment paper to the baking sheet and even silicone. Turns out the product is very high quality, which tolerates a fairly high temperature, does not crackle under their influence; does not change shape when boiled; does not lose strength when exposed to moisture. Among the population parchment paper for baking in high demand. The parchment is widely used in cooking – it is used in bakery technology, and for the preparation of home-made confectionery. 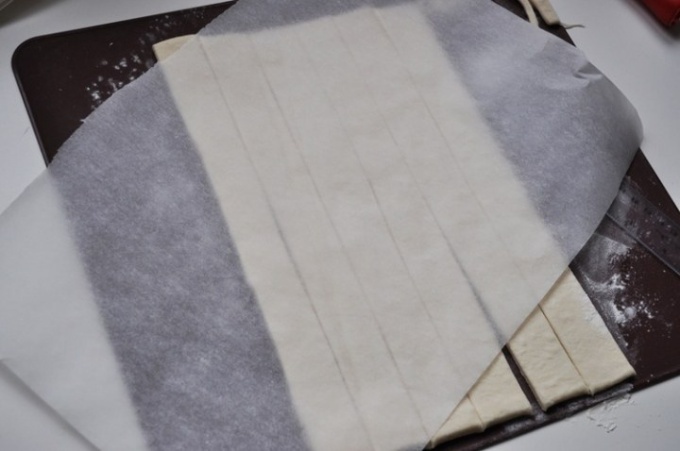 Parchment paper make baking sheets and shape, spread them on the pastry, then placed in the oven. Heat-resistant paper with a special coating can be purchased in hardware stores. Using parchment paper is convenient to roll out the dough. On a baking sheet then transferred directly into the paper – like layer test remains intact. It is also used as interlayer floor for baking. But this paper should not be used for cooking which emit a lot of liquid – the material simply melted. It is appropriate to take the foil. Parchment paper can be easiest to apply production processes which involve a variety of additives like sulfuric acid. Also in the sale is a heat-resistant parchment paper coated with silicone. But even the best hostess can come a time when the hand was not a simple parchment or with a silicone coating. You have to use something else. The cheapest option to replace parchment paper – tracing the drawing. But because of the intricacies of tracing is not a good option. It will not be used for a long time – it can soak in and spread across the form, and then stick to the product. But it is suitable for making products from sand or dough, cheesecakes, especially if you lubricate it with oil. The ordinary notebook the leaves can also be used as baking paper – they should be well greased with oil. Also successfully replaced the parchment with a special foil for baking.